It is always amazing to me how many people simply make things up when working on airplanes. Either they don't know the right way to do something because they have never looked it up (or been properly taught), or they feel that they simply know better than the guys who built whatever they are working on - and the results are often at the least annoying, and at worst, dangerous. Take, for example, this exhaust flange on my wife's Lycoming engine. In no way do I consider myself a tail wheel snob, but for some reason, all of the airplanes in my hangar (including the two projects) have the little wheel in back. I guess I am truly old enough to remember when "conventional gear" meant that the airplane had a tail wheel, but I have several thousands of hours in trikes as well, so I am pretty balanced. I guess the one advantage with tail wheels is that the parts and maintenance for tail wheels seem to be a little less expensive than when you have a big wheel and strut up front. But then again, hanging back there in the oily exhaust stream and exposed to the dirt and grime of being close to the ground, the tail wheel componentry seems to need attention just a little more often. Continue reading "Tail Wheel Time"
Australia's Civil Aviation Safety Authority (CASA) has issued a final rule that will require the full replacement and re-rigging of primary flight control cable system assemblies in most aircraft in Australia by January of 2018. The rule does not apply to secondary control system cables. In the last seven years, there have been 48 reported incidents of cable control terminal failure due to stress corrosion cracking and CASA says the cheapest and most effective way to mitigate the hazard is to replace the entire primary flight control cable system every 15 years. It would appear that virtually every aircraft more than 15 years old on Jan. 1, 2018, except for a relative few (mostly airliners) maintained through a maintenance steering group-3 (MSG-3) process, will have to have all-new primary control cables to remain airworthy. There is no indication yet that the FAA intends to impose a similar measure. The problem originates in the stainless steel connectors that link the cables to various fittings throughout the control systems. Continue reading "Australia Mandates Control Cable Replacement At 15 Years"
Batteries: Got a Question? Get an Answer! We're working on an interview with some battery experts, and this is your chance to ask the tough questions. Have you wondered if dropping an aspirin in will help recover a dead battery (or was that chicken soup)? Then there's the story that charging a battery with it on a concrete floor is a bad idea. Really? Some of the questions we've thought of are below. Send us yours and if we use it, you'll get the credit for asking. Why are aircraft batteries so expensive? Besides Gill and Concorde, who makes aircraft batteries? What’s the story of these batteries that have multi-cylinders for sides? Why does a car battery last so much longer than an aircraft battery? Are Li-ion (lithium-ion) batteries suitable for aircraft? Is there an easy way to know which batteries should never be run to flat? What’s the “old” technology vs. the “new”? If we’ve updated the panel, how about the battery? 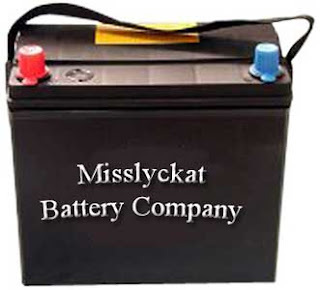 Is there a way to recover a dead battery? What are the failure modes and how do I avoid them? Is a solar-powered trickle charger a good idea? How do de-sulfators work (and what's sulfation)? What should I do with the battery if I don’t fly but once a month? I’m not going to pull it out and store it every month, so is there some easy way to care for it that will only cost me 10% of its life? Is there really any difference between an auto-parts store battery and an "official" aircraft battery? Can I use the cheaper version in my Experimental airplane? Vents, screw-on caps, totally sealed. Why the difference? How can I check the condition of the battery if I can’t get a hydrometer sample? See question 14. Overcharging is “bad”, but is undercharging any better? I left the charger on too long and boiled out the liquid; is it a goner?